Come Shine, Rain Or Wind, Islands Keep The Lights On With Renewables. Access to a large electric system provides big economies of scale not only in terms of diversity and low cost of power generation, but even more so for minimizing necessary reserves and for making it easier to balance variable resources like wind and solar. Islands without access to neighboring electric systems are in every aspect on their own. They have to generate all the power they need and they must themselves keep the system reliable no matter what. Adding more renewable energy to an island system can be an opportunity, but large amounts of variable renewable energy increases the challenge of maintaining reliability at reasonable costs. Achieving 100% renewable energy was not so long ago seen as a dream. Now recognized to be viable, many cities around the world have set such targets. Still it is not a trivial task to get to 100% renewable energy, while at the same time ensure reliable and affordable electric power. A key enabling factor is being connected to a large and robust electric grid. It gives access to remote renewable resources and it is the most cost efficient way to balance the variability of wind and solar. Let’s take a closer look at a couple of cases. Volkswagen And Emissions Messed Up. The Volkswagen (VW) scandal among many things highlights the issues of different types of emissions and what is clean and what is not. There are two types of emissions. One type is air quality related and the other type is related to greenhouse gases. Air quality is about health. Greenhouse gases are about global warming. In 2014 there were 3634 outages in the US electric system according to the Eaton Blackout Tracker. It affected in total over 14 million people. On average close to 4000 people were affected per outage, which on average lasted 43 minutes. 30 % of the outages were caused by weather and trees. 28 % were caused by faulty equipment and/or human error. Almost all outages were at the distribution system level, Outages at the transmission level are very rare, but when they happen the consequences are bigger, affect more people and take longer time to restore. 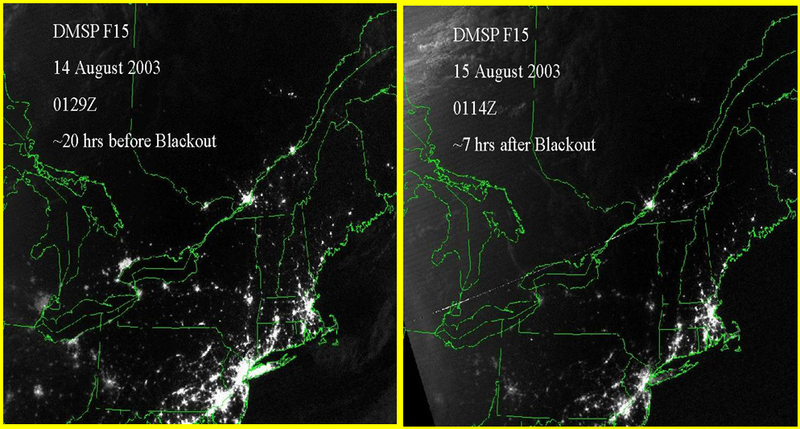 The Northeast Blackout in August 2003 hit 55 million people in United States and Canada. One month later the Italy Blackout had also about 55 million people in Italy, Switzerland, Austria, Slovenia and Croatia losing power. As recent as in March this year 90 % of Turkey with 70 million people lost their power. The largest blackout so far was in July 2012 affecting half of India and 620 million people. In fact the grid collapsed for a second time in two days. 2003 Northeast Blackout. Satellite pictures before and after the blackout. National Geophysical Data Center (NOAA/DMSP). Disruptive Technologies Take Time To Happen. Ever since Clayton Christensen wrote The Innovator’s Dilemma (1997) finding disruptive technologies has been the holy grail for innovators and business developers. However, reality is different. In most cases most technologies are evolutionary rather than revolutionary and the ones that are truly disruptive have taken quite some time to happen. In all fairness Clayton Christensen pointed out that disruptive technologies were not immediately disruptive but started in small niche markets before overtaking mainstream market segments. Rarely is it the technology in itself that is disruptive. The ignition for the market to take off is often the combination of technology and social behavior changes, regulatory changes or similar “non-technical” events. In terms of customer acceptance there is also the question what tips it over to reach the critical mass for success. “Crossing the Chasm” (1991) by Geoffrey A. Moore remains a very good read. In addition Malcolm Gladwell in his book “The Tipping Point” (2000) elegantly describes “how little things can make a big difference”. To make the case let us look at two major but different “disruptive technologies”: airbags and shale gas. Large, Medium and Small. Three Sizes of Energiewende. The German Energiewende is the largest undertaking in the world to transition to renewable energy. Rightfully it is getting a lot of attention. There already many lessons to be learnt of what to do and also some of what not to do. Smaller in magnitude but also well worth paying attention to are two American versions of Energiewende. One is a state, Hawaii, and the other is a city, Fort Collins, Colorado. “The Future Ain’t What It Used To Be.” Paradigm Shifts in the Electric Industry. Yogi Berra had it right: The future ain’t what it used to be. Planning in the electric industry is basically about ensuring reliability at reasonable costs. For investors it is about optimizing expected return on investments with risks. It has never been easy, but it is more difficult than ever today. A Perfect Storm for Microgrids. On March 11, 2011, The Great East Japan Earthquake hit very hard and took out much of the electric power. However, there were pockets that managed to provide power and heat during the 2 – 3 days it took to restore the electric grid. One of such pockets was at Sendai City in the Tohoku district. 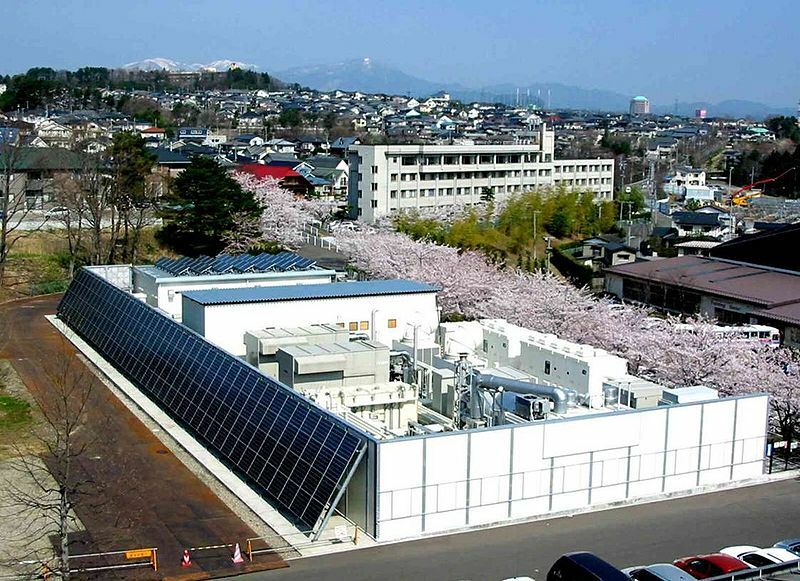 Sendai microgrid was initially designed in 2004 as a demonstration project. After the study was completed in 2008 the microgrid continued in operation. It is located on the campus of Tohoku Fukushi University. Normal load, including a hospital, is about 700 kW. The microgrid has two gas fired generators, each at 350 kW, a 200 kW fuel cell and a 50 kW PV array. A Blue Battery Solving A Green Problem. Hydro storage is basically a renewable battery. 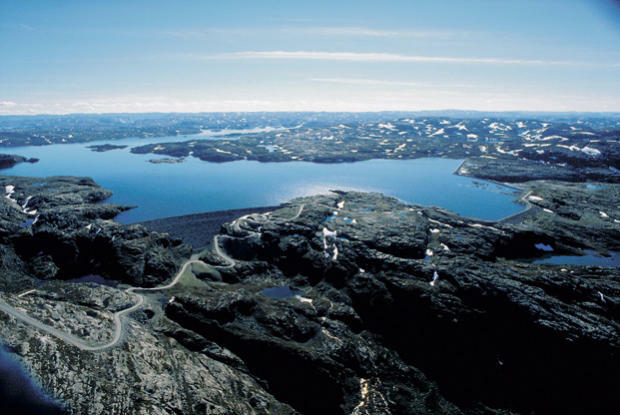 Lake Blåsjö (“Blue Lake”) in Norway with a capacity of 7.8 terrawatthours (TWh) has become a symbol of Norway’s potential to become a “Blue Battery” for Northern Europe. To put the number in perspective 7.8 TWh would cover the electric consumption of over 750 000 residential homes. To accumulate the same amount of energy with lithium ion batteries it would take over 200 years of full production at Tesla’s planned Gigafactory. Burlington, Vermont, Beats Germany’s New Renewable Record. Sunday August 18 Germany set a new renewable record. That day at 2 pm generation from renewable energy sources provided 75 % of all power needed to satisfy the total demand of electric energy. Less noticed was that Burlington Electric Department, Vermont, in September with the purchase of a 7.4 MW hydroelectric facility achieved its goal of reaching 100 % from renewable energy. While Germany’s August 18 record was a peak, Burlington’s 100 % is basically on a continuous basis. What makes Burlington Electric’s achievement additionally impressive is that retail electricity rates in Burlington are less than half of the rates in Germany, 13.7 cents/kWh (time of use rate 2014) versus 36.25 cents/kWh (average 2013).